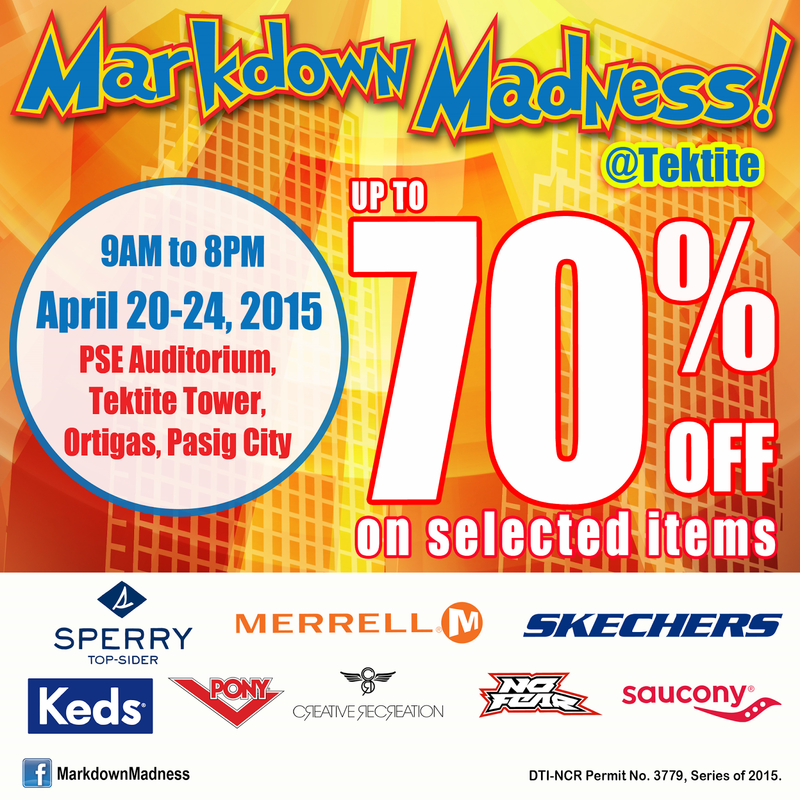 Markdown Madness, one of the biggest annual sale events in town, is happening once again in time for the summer rush! Enjoy up to 70% discount on participating brands: Skechers, Sperry Top-Sider, Keds, Saucony, Merrell, Creative Recreation, Pony, and No Fear from April 20 to 24, 9 a.m. to 8 p.m. at the PSE Auditorium, Tektite Tower in Ortigas, Pasig City. Markdown Madness promises to be another grand sale event with great finds on selected items from participating brands. Choose among the hottest pairs of the season and don’t miss this chance to get the best shoe deals in town! For more information and updates, visit Markdown Madness on Facebook at www.facebook.com/MarkdownMadness.